I stopped in to visit some clients from a year ago last night and in the course of catching up with them, the conversation turned to their new kitchen of course. These clients had completely gutted and reconfigured their home over the course of a year and have been living with the results for the last three months. These kinds of post-mortems are really interesting to me. I like to conduct an interview of sorts and find out what people really like about the results of their renovations, and equally important, what they would do differently if given the chance. Well these two were ecstatic with their results and most of the praise they were doling out was being heaped all over their 36" induction cooktop. Induction cooking is all the rage in these parts and it's caught on all over the country. In my part of the world, piped in gas is the exception rather than the rule and induction offers a lot of the benefits of gas cookery in its temperature control, and it beats the pants of a typical electric cooktop. My lovely clients went whole hog and bought a Kuppersbusch, the Cadillac of induction cookery. Everybody's jumping on the induction bandwagon anymore, and there are induction options that can suit any budget. 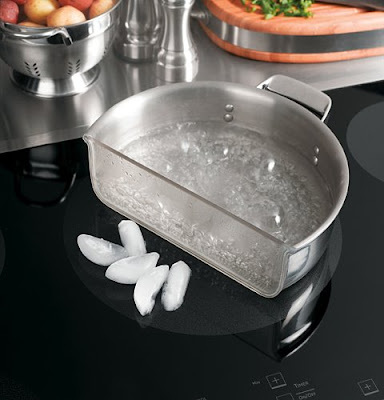 Induction cooktops aren't new, but the technology has been improved upon remarkably as induction makes its latest foray into the American appliance market. Induction is an electric technology but it parts company with electric cook tops pretty quickly. An induction burner is essentially an electromagnet. Turning on an induction burner activates this electromagnet. The resulting electromagnetic field excites the molecules in the pot or pan resting on the burner and that molecular excitement generates heat. In regular electric cookery, an electric current runs through a heating element and generates heat. So the primary difference is that in induction, it's the pot that gets hot, not the burner. The image at the top of this page is not an exagerration, that's really possible with an induction cook top. Induction cooking can heat up a pot or a pan more than twice as fast as a regular electric burner while using 25% less power. What gets me all hot and bothered about them is the freaky way they behave. I mean that in the most complimentary way I can. But when you set a pot to boil on an induction cooktop, you can move the pot and put your hand right on the same burner. The electromagnet can only generate heat when a ferrous (iron-containing) metal comes into contact with its field. No ferrous metal, no heat. There is very little wasted energy involved in induction cookery and a parlor trick that vendors always do at training seminars is to set a dollar bill under a skillet and then cook something. The food gets done perfectly and dollar remains unaffected. Another trick I learned at my last Wolf class was to cover an induction burner with a layer of paper towels prior to frying bacon. After the bacon's cooked, removing the paper towels leaves a clean and grease-free cooking surface. Brilliant! About the only downside to induction I can think of is that it requires the use of iron or steel cookware. Aluminum, glass, copper, etc. simply will not work. If a magnet sticks to a pot, then you can use it with induction. 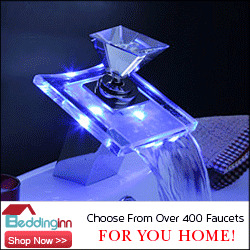 Induction also behaves differently than other power sources and it will take a couple of tries to master the technology. Well, a cool way that you can wade into the induction cookery pool with committing to it fully, is to buy an induction hot plate. Avanti makes a great one and this model from A J Madison comes with a 10-1/2" induction-compatible skillet. That hot plate has all of the features of a full cook top without all of the hassles and expense involved in replacing a major appliance. This 12" burner has all the power of a full-size cook top and you can get one for yourself for $150. Boiling a pot of cold water for pasta in three minutes will make a believer out of you, trust me on that one. Ack! Well, there's goes my post about induction. We're melding! :) When I started seeing induction in the professional kitchens, I knew it wouldn't be long before residential followed. Hooray! Thanks for the tip about the hot plate; I knew Viking had one but at the Viking price. Have you seen the Kitchen Aid induction -- shiny! I saw the Kuppersbusch in Chicago a few years ago but it's not as popular out here. I like the units without the stainless trim, if only because some of my pots boil over *cough* and I don't want to clean between the trim and the surface. 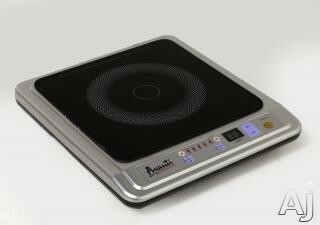 Having said that, my next cooktop will be induction; can't wait! Sister, you can write about anything you want. I'm sure you'll have a whole new take on it than I do. That $150 Avanti hot plate rocks and if you check the features on the thing it's surprisingly feature-packed. Better than a lot of full-size cooktops. I've installed a couple of the KitchenAids and I agree with you about the trim. If you have a problem with boil overs, just do like my Wolf instructor did a couple of months ago and just drape a kitchen towel over the cooktop then boil away. That's such a disconnect to see a boiling pot sitting on top of a towel. Clearly, you have a better understanding of electrical panels than I have, because honestly, I've never checked the amp rating of a panel prior to using an induction top. Then again, there are always electricians involved in my installs, but still, I need to be more mindful of these things. So PLEASE continue with your plans to write about induction --I'm curious to see you take on it. "...just drape a kitchen towel over the cooktop then boil away." LOL! I completely understand this concept, however, early conditioning has hard-wired my brain. Burners + flammable objects = "EEEEEEEEEE!" And I have a great electrician too; just that I have run into the 40amp/50amp circuit thing before; just something of this area perhaps. I know what you mean, the first time I ever saw it done I was mesmerized. It all seems so impossible. Oh, and congrats on the being busy thing. I'm doing a lot of talking, but painfully little closing. I'm not spooked yet, but I'm getting there. Go get 'em Kelly (and send some of them east!). I do have a link--folks can go to www.healthcraft.com or send me an email at kevinsmith@healthcraft.com if they have questions. I demonstrate the cookware using an induction burner, and actually use the paper towel between pan and burner to show how cool induction technology is.